Progressive populist candidates are surging in Democratic primaries across the country. Potential contenders for the 2020 Democratic Party’s presidential nomination are embracing many of the signature ideas that Sen. Bernie Sanders (I-VT) drove into the debate—Medicare for All, tuition-free college, a $15 minimum wage, and more. Record numbers of female candidates—a surge fed by reaction to the election of Donald Trump and the rise of the #MeToo movement—are running, most for the first time. Insurgent candidates fared well in the most recent round of primaries—in Pennsylvania, Nebraska, and Idaho. The Pennsylvania congressional delegation is currently all men. Now, with retirements and reapportionment, three to six Democratic women could win House seats in November. Pennsylvania activists also celebrated three women’s stunning victories over entrenched machine incumbents in state legislative races. 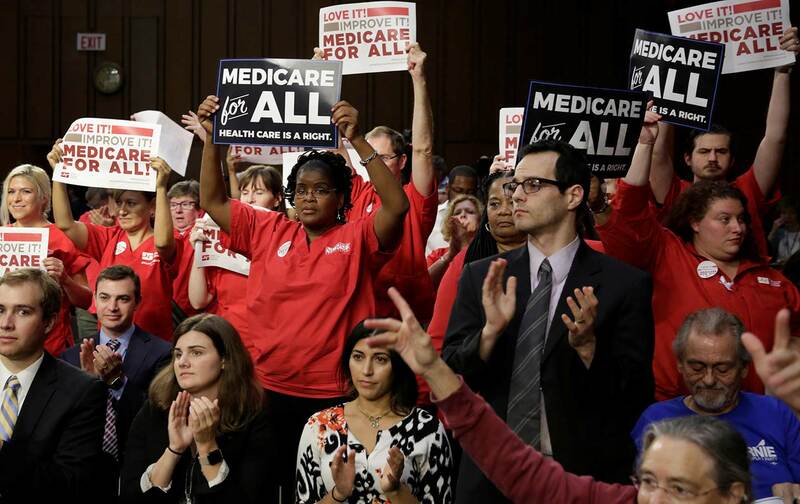 The women were buoyed by the support of progressive organizations, including Democrats for a Socialist America (DSA) and Our Revolution, one of the key organizations coming out of the Sanders campaign, People’s Action, and Keystone Progress, a state grassroots organization. These are only part of the array of organizations fueling the Democratic Spring. New organizations, many coming out of energy generated in 2016—Our Revolution, Justice Democrats, Indivisible, Brand New Congress—plus revitalized groups such as People’s Action, Working Families Party, DSA, MoveOn.org, and the Progressive Change Campaign Committee (PCCC) are recruiting and supporting insurgents up and down the ticket.